It comes as no surprise then that nearly as many headlines are currently dominated by extension talk as by trade talk. In Ottawa, the Senators are desperately trying to get some indication of whether they can keep Matt Duchene and Mark Stone around long-term, or else will be forced to trade both of them. The Columbus Blue Jackets don’t seem to be getting any such indication from Artemi Panarin, but will likely hold on to him anyway given their intention to compete for the Stanley Cup. The San Jose Sharks are in a similar boat with Erik Karlsson, but also can’t even sign him to an eight-year extension until after the deadline passes. Perhaps the biggest headline generator recently (as they often are) were the Toronto Maple Leafs, whose GM Kyle Dubas told media that the team had made progress on an Auston Matthews extension. While insiders quickly noted that progress in this case did not mean a deal was imminent, there is some reason to believe that Matthews could be one of these February signings. First of all, the Maple Leafs are another team within striking distance of the Stanley Cup or at least a high playoff seed. Dubas knows that they could compete this season, and getting Matthews under contract gives him more information to make any other trade deadline decisions. Second it would make the summer a lot less stressful, given that the front office also has to deal with new contracts for Mitch Marner, Kasperi Kapanen and Andreas Johnsson, while also filling the hole left by pending UFA Jake Gardiner. Each of those contracts will take some work, and the Maple Leafs certainly don’t want them to extend into the season again like William Nylander’s negotiation did. It might be easy to say hand over a blank check to Matthews and let him join the league’s elite with an eight-year extension that pays him more than $10MM per season. 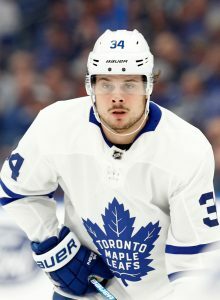 Not so fast, according to Elliotte Friedman of Sportsnet, who writes that both the team and Matthews’ agent Judd Moldaver “see an eight-year deal as extremely unlikely.” The reasoning would be that the Maple Leafs can’t afford to buy out that many UFA seasons given how tight their cap will be going forward. Instead, suggests Friedman, the deal will be for five or six years, buying out just one or two free agent seasons in order to keep the cap hit relatively low. In reality it actually might be the better move for Matthews too. 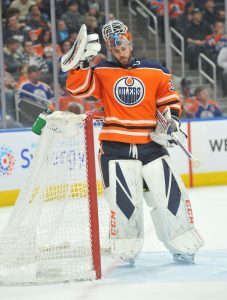 Though an eight-year deal would certainly put him into the upper echelon of NHL earners immediately, it likely wouldn’t stay that way throughout the entire deal. With the salary cap set to increase again next season and CBA talks potentially changing the salary cap rules at some point down the line, Matthews could be overtaken by less talented peers in the years to come. If he truly believes in his talent—and nothing in his career path to this point suggests he does not—signing his next massive contract after five more seasons makes total sense. Remember that the Maple Leafs center won’t turn 22 until September, meaning he would exit a five or six year deal still in his prime. While this kind of a deal might make sense for both the Maple Leafs and Matthews, it will be interesting to see whether other teams follow the same path. The Tampa Bay Lightning for instance have a brilliant young center of their own scheduled to hit restricted free agency in Brayden Point, and face similar cap crunch issues moving forward. If Point would be interested in a five-year deal of his own there could be benefits for both sides, though like Matthews it would put him at risk of leaving as a free agent a few years earlier. 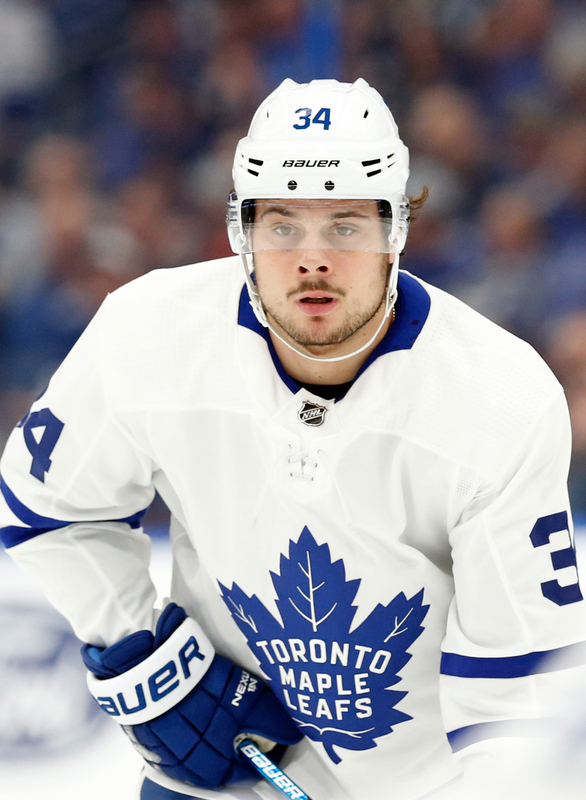 If the Maple Leafs are to go after any player with term left on his contract, they need to get some certainty over what kind of cap hit Matthews will bring moving forward. That means Dubas might not be watching his phone waiting for another GM’s number to pop up over the next few weeks, but rather that of Moldaver. A topic of speculation for years around the hockey world has been offer sheets and how teams could use them as predatory strikes against rivals, driving up cap hits or attempting to steal their best players. One team in particular that is targeted with hypothetical situations is the Toronto Maple Leafs, who have heard that just about every team in the league is preparing to sign both Auston Matthews and Mitch Marner to offer sheets this summer. The Maple Leafs are in a tricky financial situation after signing William Nylander and John Tavares to expensive long-term deals, meaning it would be tough for them to match the lucrative offers some other franchises could wave in front of their other young stars. There are so many barriers before anything like that actually happens though, and one of them is simply the Maple Leafs signing Matthews or Marner to a long-term extension before they even reach restricted free agency in the first place. 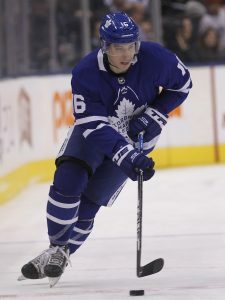 Though that won’t take place with Marner, whose representatives have made it clear they will wait until after the season to start negotiating, it very well may happen with Matthews. Today, when speaking with reporters in Toronto including Chris Johnston of Sportsnet, GM Kyle Dubas explained that the team has “made progress” on an extension for their explosive sniper. Dubas would like the deal done before the trade deadline if possible. Matthews, 21, is having another fantastic season for the Maple Leafs with 20 goals and 42 points in 34 games. Though he missed a fair chunk of time earlier in the year—and is in something of a slump at the moment—he’s still poised to have quite the resume when discussing any long-term extension. When Connor McDavid signed his record-setting eight-year $100MM extension in 2017, he had just 148 points in 127 games. McDavid had missed nearly half of his rookie season with injury, but was fresh off an 100-point year and a pile of individual awards. Jack Eichel meanwhile had just 113 points in 142 games when he signed his eight-year $80MM extension with the Buffalo Sabres, who were betting on his potential more than his production in the early part of his career. 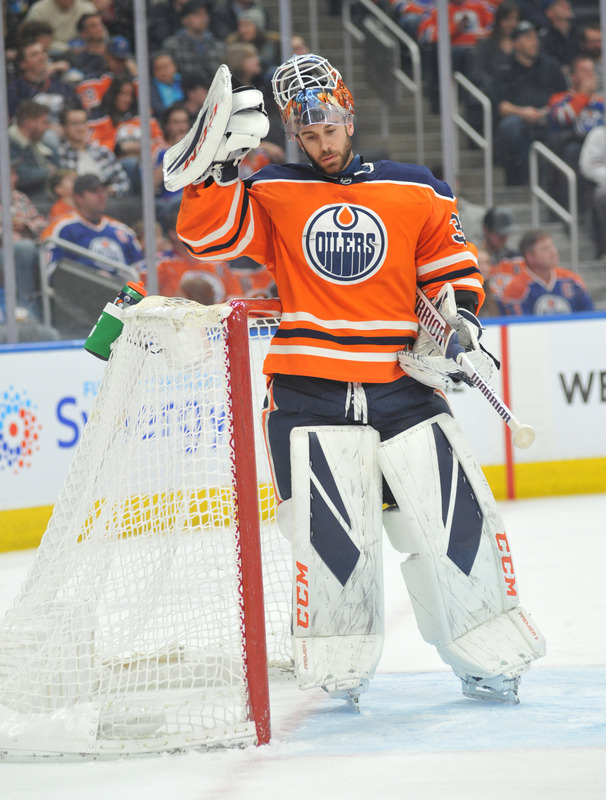 He too missed games as a sophomore, and didn’t have quite the lofty statistics that McDavid had recorded. Matthews then may fall somewhere in the middle given what he’s done so far. The Toronto center has 174 points in 178 games including a 40-goal campaign and Calder Trophy as a rookie in 2016-17. He ranks seventh in goals since the start of that season with 94, despite averaging fewer than 18 minutes a night over that span. The salary cap has gone up since McDavid and Eichel signed their contracts though, meaning the same percentage would be worth more if Matthews were to sign today. For instance, if he matched the same 13.33% that the Sabres gave to Eichel, Matthews’ deal would come in around $10.6MM per season going with this year’s $79.5MM cap. That would seem to be his floor, though the Maple Leafs will surely try to get him in at the lowest possible number. Toronto already has an $11MM player in Tavares, and very well could have two more eight-digit earners in Matthews and Marner next season depending on how negotiations go. That kind of commitment to a handful of forwards will put a strain on the rest of their roster, especially given that young players like Kasperi Kapanen and Andreas Johnsson are also set to hit restricted free agency. Getting Matthews under contract as soon as possible will give the front office more time to figure out how everything is going to work, and decide whether or not they can actually acquire a player with any kind of term at the upcoming trade deadline.